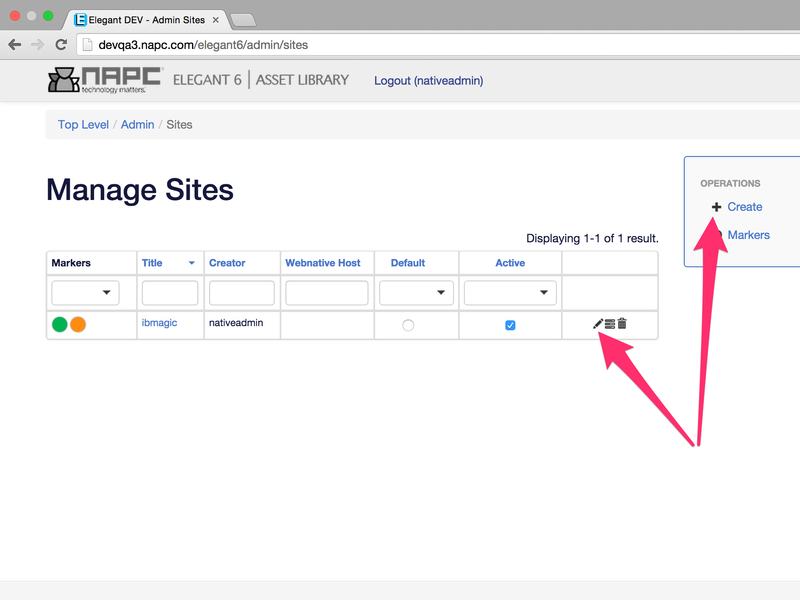 In the Manage Sites menu you Create and Modify your sites. If you go to the site Editing menu, you will find the list of suggested settings. 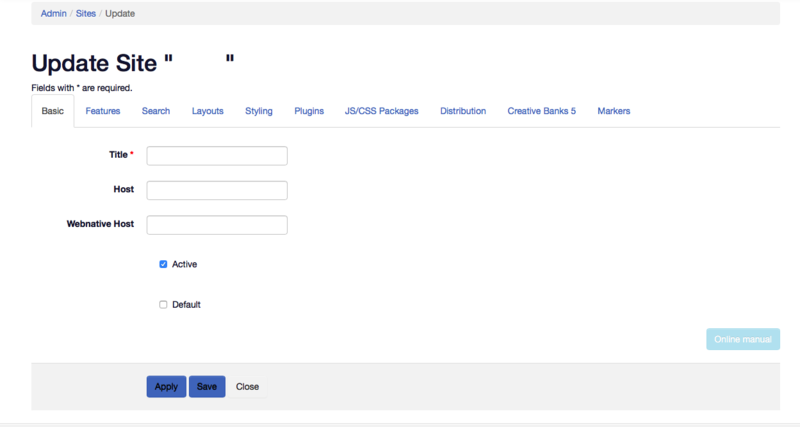 Each of the tabs will bring you to the specific customization areas: Basic, Features, Search, Layouts, Plugins, JS/CSS Packages, Distribution, Creative Banks 5 and Markers.